This level has medium difficulty. 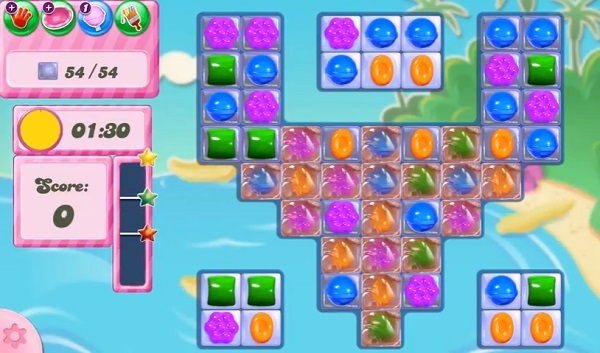 For this level try to play from bottom to shuffle more candies and make special candy. Use special candy with normal instead of other special candy to save time. You could still use more striped candy to break the jellies that are in corner. Only 60 seconds – every game now less time than examples! I do not have 90 seconds to complete; it is only giving me 60 seconds! Not at all fair! I only get 60 seconds – WHY?????? Making game too difficult and not fun anymore. Need more time on this level. Please fix it.